Brand: Sugar and Crumbs SGC-121280 Units: 1.1 lb. 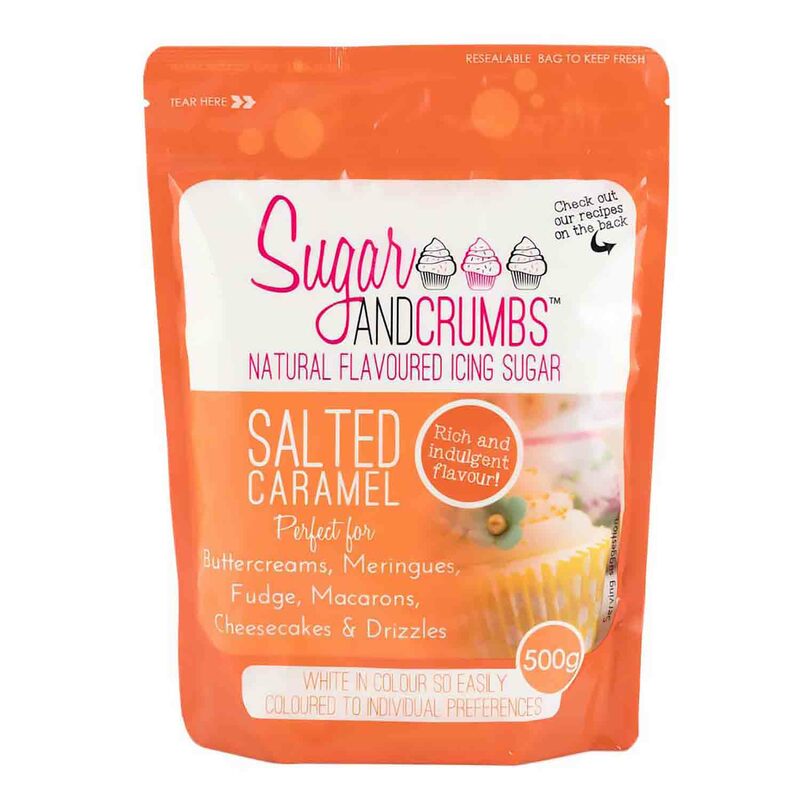 bag Salted caramel flavored icing sugar is perfect for buttercreams, meringues, fudge, macarons, cheesecakes, drizzles, and more. Natural flavored icing sugar is rich and indulgent. Use in any recipe that calls for powdered sugar. Replace equal amounts powdered sugar with flavored icing sugar. Flavor can be diluted if mixed with plain icing sugar. Icing sugar is white in color and can easily be colored. Packaged in a resealable bag with a buttercream recipe on the back. Salted caramel flavored icing sugar is perfect for buttercreams, meringues, fudge, macarons, cheesecakes, drizzles, and more. Natural flavored icing sugar is rich and indulgent. Use in any recipe that calls for powdered sugar. Replace equal amounts powdered sugar with flavored icing sugar. Flavor can be diluted if mixed with plain icing sugar. Icing sugar is white in color and can easily be colored. Packaged in a resealable bag with a buttercream recipe on the back.